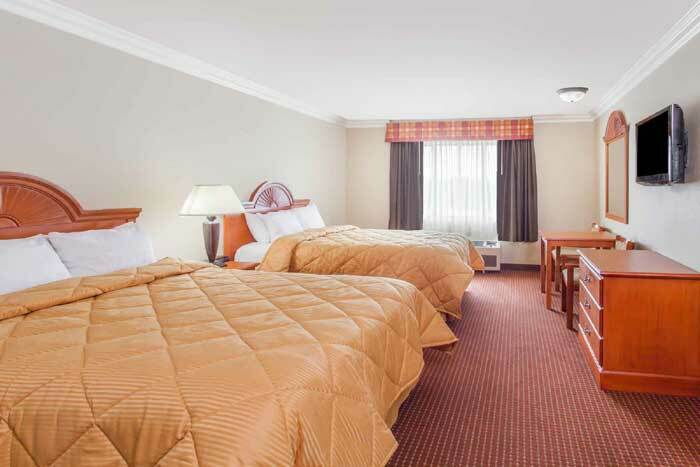 Our Days Inn Carlsbad hotel near LEGOLAND offers everything you need for a comfortable, affordable stay, and the perfect place to bring your family for a happy vacation in the sun. We are located near the beach and conveniently off I-5, making area attractions easy to reach. Our free Daybreak breakfast and free daily newspaper starts your day on the right foot. Out hotel offers free WiFi Internet access and free parking. Enjoy our 100% non-smoking hotel with heated outdoor pool for maximum relaxation. 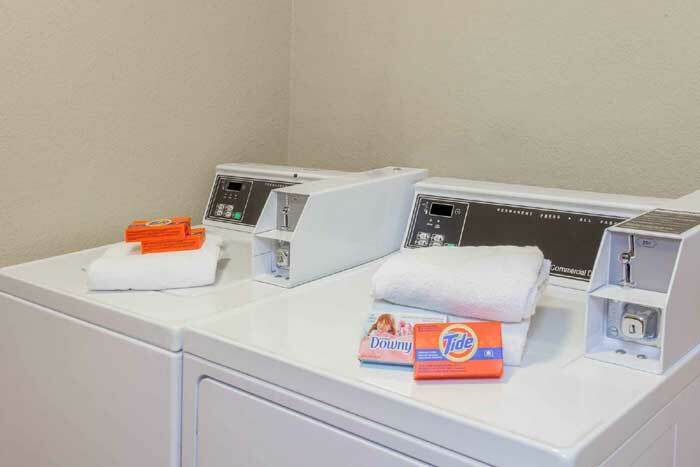 Our well-appointed guest rooms feature refrigerators, coffee makers, microwaves, hair dryers, and ironing facilities. LEGOLAND – just over 3 miles away – offers rides, shows, and attractions for all ages. Nearby Carlsbad State Beach is popular with swimmers, surfers, and scuba divers alike. Improve your swing at any number of neighboring golf courses, including Rancho Carlsbad Golf Club, Ocean Hills Country Club, and Aviara Golf Course – all within 10 minutes’ drive. Activities : Carlsbad is home to many major attractions in southern California including LEGOLAND® California Resort, SEA LIFE Aquarium®, The seasonal Flower Fields, K1 Speed and more! Whether you're planning a family vacation, a day with friends, or a couple's getaway, you'll find all the fun and adventure you need right here in Carlsbad. Airport : San Diego International Airport Getting to San Diego International Airport is easy from most major roadways. Be sure to monitor traffic conditions during certain times of the day. It is essential to allow yourself enough time for airline check-in and to pass through security. Arrive two (2) hours prior to domestic flight departures and three (3) hours prior to international flight departures. Attractions : LEGOLAND California Resort features the world's first LEGOLAND Water Park. The centerpiece is a 45-foot-tall tower designed to immerse children in the creative world of LEGO. The Water Park also features more than 20 LEGO models including giant LEGO friends who splash or spray water on guests, two sandy beach wading areas, retail shops and snack carts. Attractions : LEGOLAND® California Resort has more than 60 rides, shows and attractions including the exciting new LEGO® NINJAGO® World! Ninja practice at special training areas to become masters of the ancient art of Spinjitzu. All that training gets put to the test on the stunning new LEGO NINJAGO The Ride. This interactive, cutting-edge, technological marvel allows riders to control animated fireballs, lightning, shockwaves and ice. Harness the power of the elements to defeat the Great Devourer and collect points for ninja status! But that's not all that's new for 2016. Emmet, Wyldstyle, Benny, MetalBeard and UniKitty star in The LEGO® Movie™ 4D A New Adventure. Casinos : Oceans Eleven Casino Welcome to Ocean's 11 Casino. We are excited you stopped by and look forward to seeing you in the near future. Located by the beach in beautiful Oceanside, California, Ocean's 11 Casino is San Diego's Home for Poker & More. Dining : It's all here in Carlsbad. Award-winning restaurants that are constantly reinventing the way we eat to street food classics that magically whisk you back to your childhood. No matter your tastes or budget, restaurants in Carlsbad offers a wealth of options that overflow with flavor and style, as well as happily fuel your next fun-filled eating adventure. Golf : The Crossings at Carlsbad 5800 The Crossings Dr, Carlsbad, CA 92008 (760) 444-1800 With beautiful Pacific Ocean to the West and foothills rising to the East, this 18-hole championship municipal golf course and event facility offers visitors a magnificent setting in a relaxed California Coastal environment. Government : City of Carlsbad 1635 Faraday Ave, Carlsbad, CA 92008 (760) 602-2719 With its perfect climate, nearly seven miles of beaches, nature trails, a charming Village and family attractions, Carlsbad attracts visitors from near and far. Visit Carlsbad , the city's tourism agency, has everything you need to plan a perfect Southern California vacation. Hospitals : NCHS Carlsbad Health Center 1295 Carlsbad Village Dr, Carlsbad, CA 92008 (760) 736-6767 Mission To improve the health status of our diverse communities by providing quality healthcare that is comprehensive, affordable, and culturally sensitive. Shopping : Shopping in Carlsbad provides the enticing combination of upscale offerings and a casual atmosphere. Walk tree-lined streets to discover art galleries, garden shops, jewelers, clothing stores, boutiques and a farmer's market with goodies galore. Venture slightly further for more options at the Carlsbad Premium Outlets or to The Forum for all your lifestyle needs. University : National University 705 Palomar Airport Rd, Carlsbad, CA 92011 (760) 268-1500 The National University Carlsbad campus is conveniently located off the I-5 freeway. The Carlsbad campus is home to the National University Performance Psychology Lab, and provides complete student support with an onsite writing center and math center. It has a modern, fully equipped computer lab and conference services. The Carlsbad campus offers flexible schedules, small class sizes, and easy access to faculty. The one-course-per-month format, weekend and evening classes, and online learning options make WASC-accredited National University Carlsbad the perfect choice for a respected education. The university is ideal for those looking for flexible, accessible education from an accredited institution. Contact us today to enroll in classes at the Carlsbad campus. Welcome to our great hotel in Carlsbad California with affordable rates and cheap budget discount lodging. Days Inn Legoland welcomes you to our budget hotel in Carlsbad California. 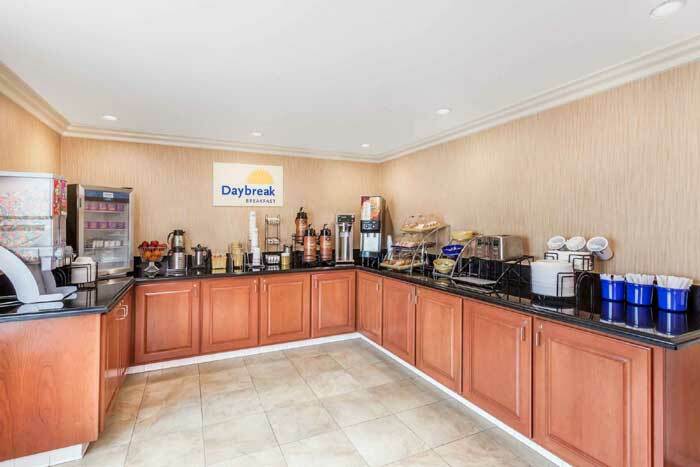 Days Inn Legoland will provide you excellent customer service with great amenities in comparison to all Hotels and Motels in Carlsbad California. Please visit us on your next stay in Carlsbad California and let us provide you with 4 star hospitality for 2 to 3 star budget rates. 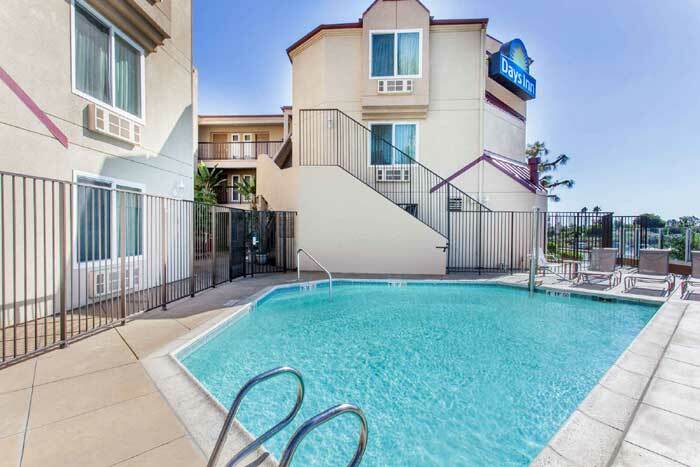 Days Inn Legoland has been providing lodging and accommodations in Carlsbad California for several years and looks forward to providing our valued customer and business traveler with the best service in Carlsbad California for Hotels and Motels in our local area.